L. Tyrone Holt - Mediator & Arbitrator based in Denver, Colorado. If you’d like a list of available dates for Ty Holt, please submit a request below. You will hear back directly from Ty's assistant, Kathryn Bohn. Mr. Holt is the Managing Principal of The Holt Group LLC in Denver, Colorado. He has over forty years of experience as a business and trial attorney, specializing in business, commercial and construction matters. His clients include owners (public and private), general contractors, design professionals and construction managers. He serves as a "first chair" trial and counseling attorney for many construction industry clients. Ty's experience extends from the simple to the most complex multi-party construction disputes. He practices in the Federal and State trial and appellate courts; before various federal, state and local agencies and administrative claims tribunals. Ty is a nationally recognized construction neutral with more than thirty years of experience as a mediator and arbitrator. During this period, he has successfully mediated more than two hundred and fifty disputes and has served as an arbitrator in more than one hundred and fifty arbitration proceedings. Ty has been a frequent speaker at local, regional and national educational programs for organizations such as the American Bar Association, American Arbitration Association, Design Build Institute of America and College of Commercial Arbitrators, Practicing Law Institute and various state bar associations. Ty is admitted to practice law in the State of Colorado, and before the Supreme Court of Colorado and all subordinate Courts, the United States District Court for the District of Colorado, the United States Court of Appeals for the Eighth, Ninth and Tenth Circuits, the United States Supreme Court, the Los Angeles County Superior Court (Pro Hac Vice), the State of Hawaii Circuit Court for the First Circuit (Pro Hac Vice), the United States District Court for the Western District of Texas (Pro Hac Vice), the United States District Court for the Northern District of Georgia (Pro Hac Vice), the United States District Court for the District of Utah (Pro Hac Vice), The United States District Court for the Northern District of Nebraska (Pro Hac Vice) and the United States District Court for the Eastern District of Virginia (Pro Hac Vice). 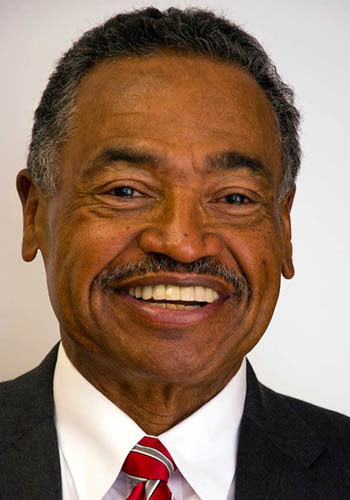 He served as law clerk to the Honorable Preston Devine of the California Court of Appeals in 1974. $395.00 per hour plus reimbursable expenses, including travel.